An enhanced online interactive version of the lighting guide is available to NTEA members as a complimentary tool. 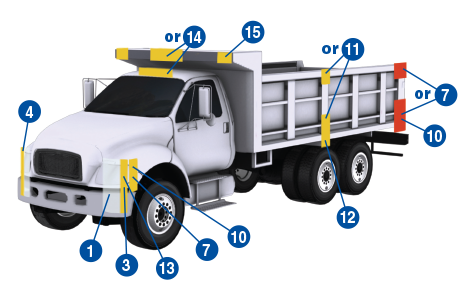 NTEA’s updated U.S./Canada Federal Lighting Guide provides illustrations indicating specific lighting requirements for commercial vehicles. Two full-color copies are included in the Commercial Vehicle Certification Guide. Laminated 19-inch by 25-inch lighting guide posters are available for purchase separately. $24 NTEA member/$39 nonmember. Shipping is free.